As many of you know, I recently got married on August 16th. It was the best day of my life. Personally, it was such an emotional day and I can’t use any other description but “perfect”. Professionally, it’s also been an amazing experience, because, for the first time in my life, I’m able to truly relate to each new couple that we meet. I’ve not only photographed tons of couples, babies and families, but now I’m privileged to say that I’ve been on the other side as well. So I decided to write this post to help each couple have the wedding day of their dreams .. . starting with their engagement session! 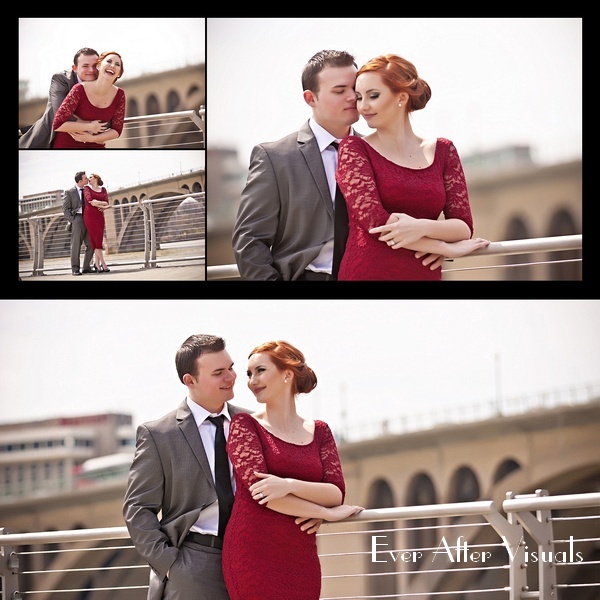 This post will be specifically directed to the type of style I wanted for my engagement shoots. Yes, shoots — I had three! It seems pretty ridiculous but when your Mom is a photographer, and you’re slightly obsessed with Audrey Hepburn, this is what it looks like. Let me start off by saying that my husband, Jay, had never been professionally photographed before. Being a manly man, I don’t think he was too keen on being super romantic while everything was being caught on camera. Especially since behind that camera was my mother. When I told him I wanted to do more than one engagement session, I could see the worry in his eyes. I am so very glad that we decided to do more than one engagement session though, because it changed the way my husband viewed being photographed. During our first engagement session, it was almost palpable how quickly we went from awkward, to being able to completely be ourselves. 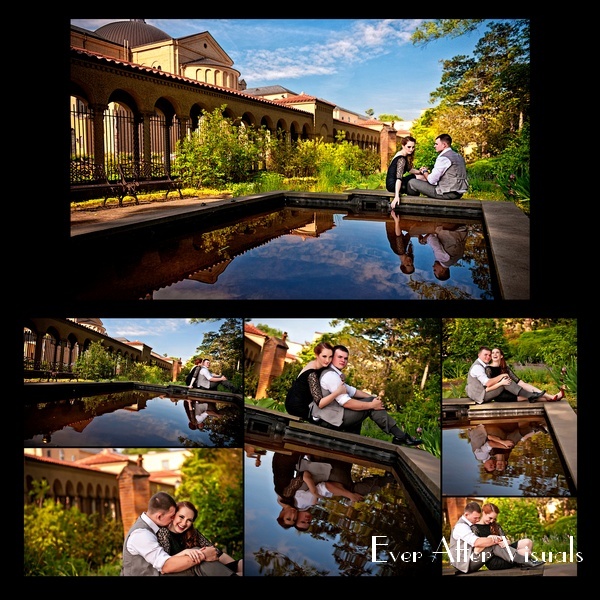 As a photographer, I recommended each couple have an engagement session with their photographer even before I was engaged. However, now that I’ve had the experience myself, I can’t imagine what our wedding day would have been like without the experience we had beforehand of being photographed. 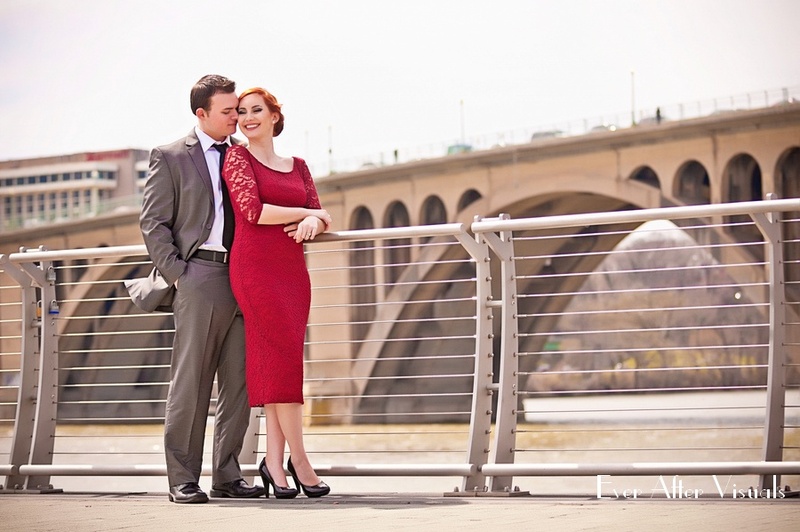 Our first engagement session was actually a fluke. Totally unplanned, and was actually held in my backyard, which also happens to be the location where we’ve photographed tons of other couples engagement sessions. It was the end of Winter and we had just gotten our last good snow of the year. It was simply breathtaking. I’m not sure what made my mom look at snow and thing of an engagement session, but between her request and a little coaxing from my (now) husband, Jay, I got talked into getting all dressed up and heading out into the snow to take some fun, romantic photos together. I don’t regret it. After everything, I think this is the photo shoot that has the most emotion. We hadn’t been engaged too long and it showed. We were simply excited to be around each other. 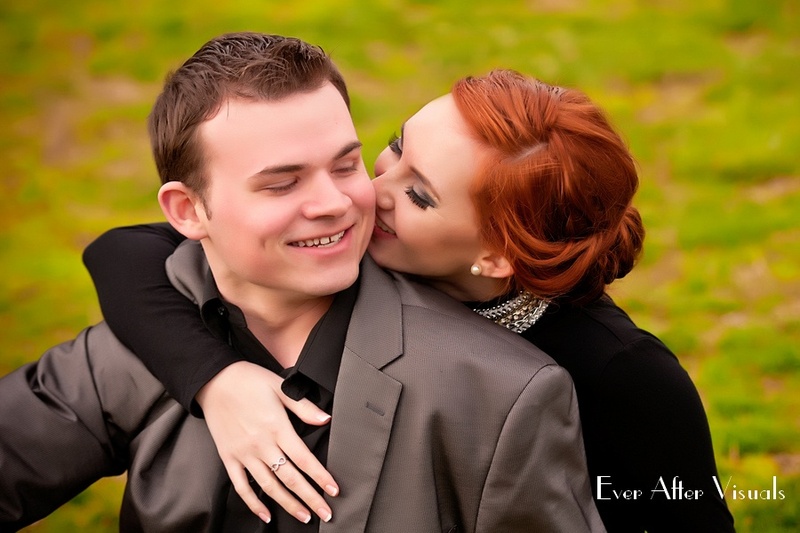 My advice to each couple is to schedule your engagement session as close as you can to when you got engaged. The emotion definitely has a way of working itself into your photos. My biggest worry from these sessions was my body. I was super worried about what I was going to look like in the outfits I had chosen. We are always our own worst critics. My advice to anyone trying to pick an outfit for a big event coming up in the future? Pick an outfit that’s flattering to your figure. Pick an outfit that you feel fantastic in. Ask a trusted friend’s advice — I asked my Mom — someone who will tell you the truth. After you’ve made the decision to purchase the garment, don’t worry about it! I had to learn that there was no such thing as having a *perfect* body. Instead of continuing to worry about the outfits I had chosen, I chose instead to change my attitude about my body. No matter how tall or short you are, or how wide or slim your hips are, every woman has beauty. And every woman deserves to feel beautiful. But much of that is in our own perception of ourselves. 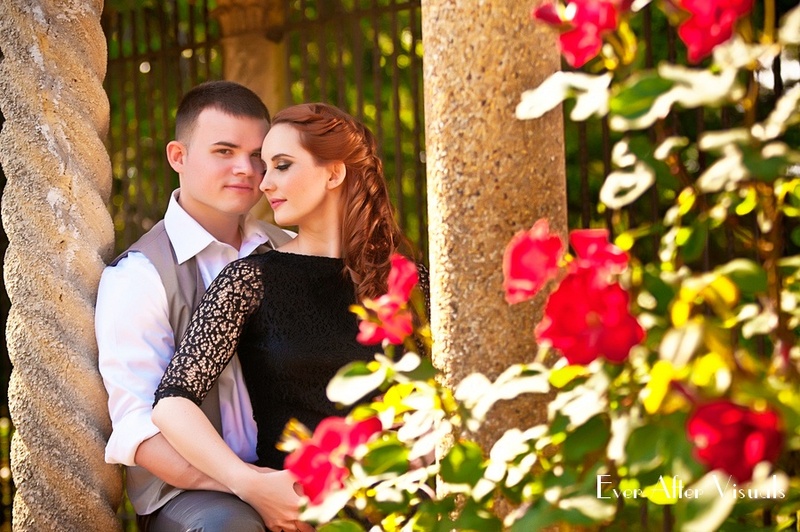 The last engagement session we did was in the spring. And was photographed at the Francescan Monastery. 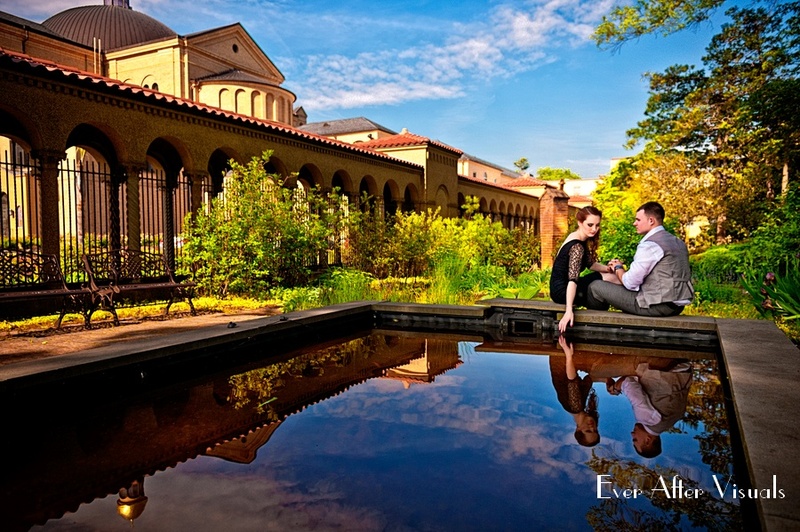 This is one of my favorite places to photograph simply because of the architecture and the rose gardens. The theme of my wedding was roses, so I couldn’t resist. The dress I wore was a simple black lace cocktail dress. The reason why Jay and I decided to have three engagement sessions is a lot less exciting than you would probably think — we couldn’t pick just one outfit, or just one season to be photographed in. As a photographer, what was constantly ringing in my head throughout my entire engagement experience, is that you’re only engaged once, and it’s such a special time in your life. I wanted to capture every moment. 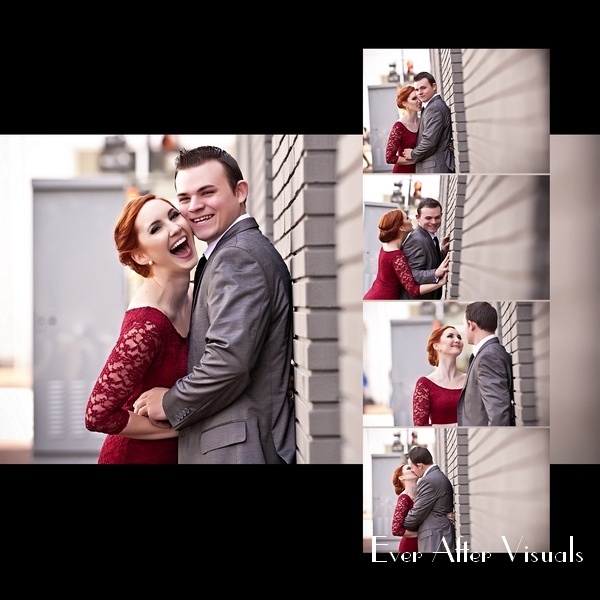 Jay and I had searched our whole lives to find each other, and even though it did take a considerable amount of time, energy, planning and money to have these engagement sessions, we knew it would be worth it, because in the end, you only get to do this once. Why not make it amazing? But the engagement project didn’t stop there. I’m a photographer, remember? So I go crazy for photos. I thought seeing images of other couples was tough — it was nothing compared to seeing images of myself and my future husband interacting. 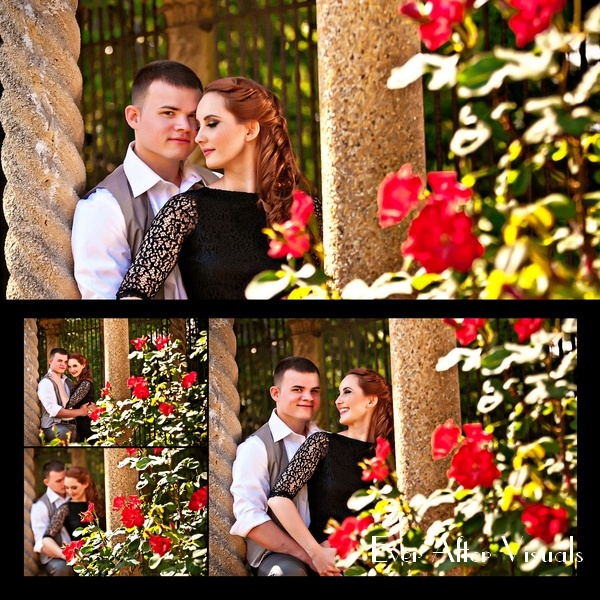 I knew I wanted to have some of the images on display at the wedding, but I wanted to do something different with them. In the end, Jay and I ended up picking over 200 images that we fell in love with and absolutely couldn’t do without. Crazy. I know. So we decided to do an engagement album. 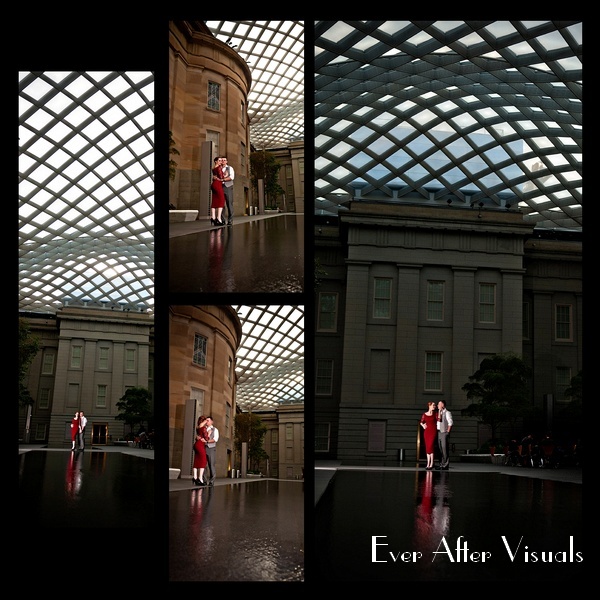 Originally I had intended for our engagement album to serve as our guest album. However, once I got our album back (I know it seems like I’m bragging but it really is pretty fantastic), I knew that I couldn’t let anyone sign this book that basically represented, to me, so much love and happiness for Jay and I’s future. So, that led us to the engagement puzzle we decided to have all our guests sign on. We also decided to print a few canvases of our favorite images to have displayed inside the reception. Yes, there were a ton of images of us all over the place, but I don’t regret it for one second. It was our special day. Now we have those images hanging in our home and I love looking at them every day. It’s such a special reminder of how much you can love one person and how much that love continues to grow. 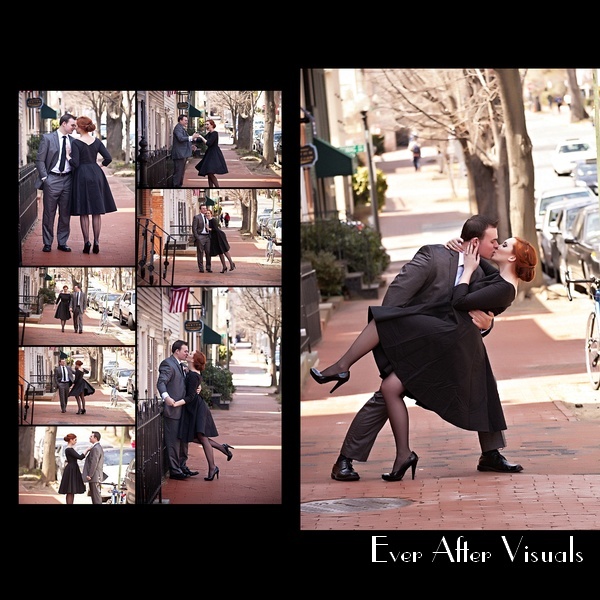 Just in case you would like to see — I’m including a slideshow of some of our favorite engagement images. 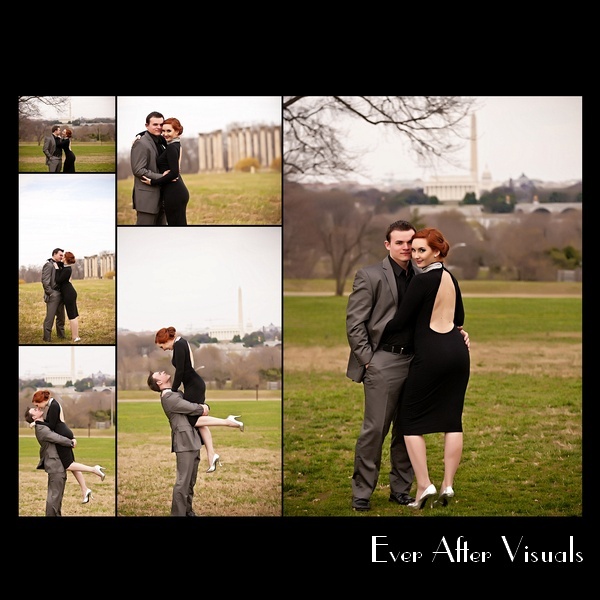 I’m also going to include a few spreads from our engagement album. 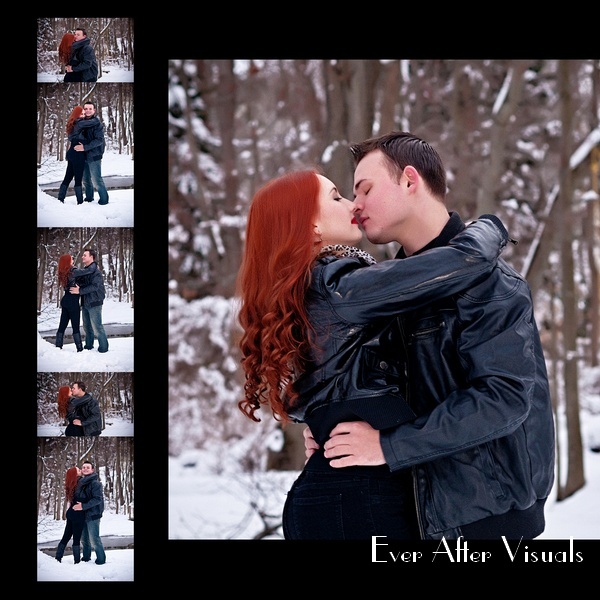 Keep in mind that our engagement album is designed as a panoramic album, meaning that it folds in half lengthwise, like a hot dog, and not like a typical album. Please feel free to post or email any questions you might have! And last but not least … the first image you saw, coupled with the following images are the ones we chose to display at our wedding!